("C:\Program Files (x86)\MiKTeX 2.9\tex\generic\e-french\french.cfg" ! Undefined control sequence. I tried to update but nothing helps. ("C:\Program Files (x86)\MiKTeX 2.9\tex\generic\e-french\french.cfg" ! Undefined control sequence. l.2 \abbreviations The control sequence at the end of the top line of your error message was never \def'ed. If you have misspelled it (e.g., \hobx'), typeI' and the correct spelling (e.g., I\hbox'). Otherwise just continue, and I'll forget about whatever was undefined. ! Undefined control sequence. l.3 \disallowuchyph The control sequence at the end of the top line of your error message was never \def'ed. If you have misspelled it (e.g., \hobx'), type I' and the correct spelling (e.g.,I\hbox'). Otherwise just continue, and I'll forget about whatever was undefined. ! Undefined control sequence. l.4 \overfullhboxmark The control sequence at the end of the top line of your error message was never \def'ed. If you have misspelled it (e.g., \hobx'), typeI' and the correct spelling (e.g., I\hbox'). Otherwise just continue, and I'll forget about whatever was undefined. ! Undefined control sequence. l.5 \tthyphenation The control sequence at the end of the top line of your error message was never \def'ed. If you have misspelled it (e.g., \hobx'), type I' and the correct spelling (e.g.,I\hbox'). Otherwise just continue, and I'll forget about whatever was undefined. ! Undefined control sequence. 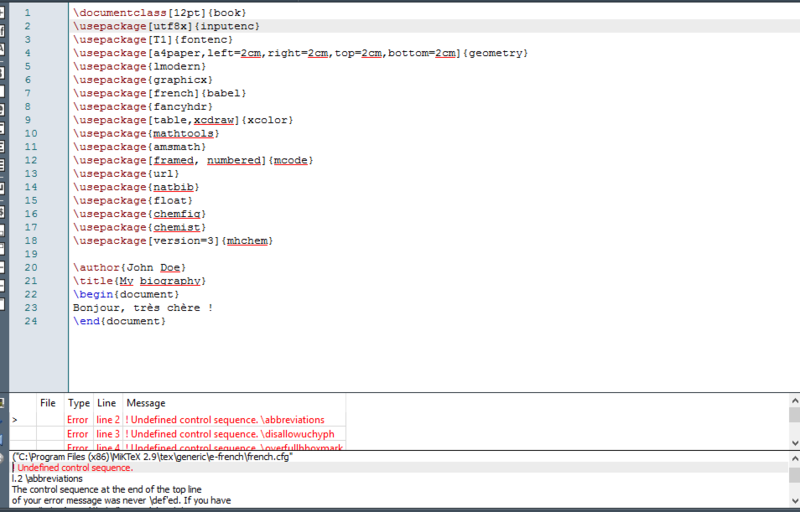 l.6 \tabbingaccents The control sequence at the end of the top line of your error message was never \def'ed. If you have misspelled it (e.g., \hobx'), typeI' and the correct spelling (e.g., I\hbox'). Otherwise just continue, and I'll forget about whatever was undefined. ! Undefined control sequence. l.7 \automaticlettrine The control sequence at the end of the top line of your error message was never \def'ed. If you have misspelled it (e.g., \hobx'), type I' and the correct spelling (e.g.,I\hbox'). Otherwise just continue, and I'll forget about whatever was undefined. For me, the issue appeared when running "Update MiKTeX" in Admin mode and it disappeared, when I ran the "Update MiKTeX" again in User mode. Not the answer you're looking for? 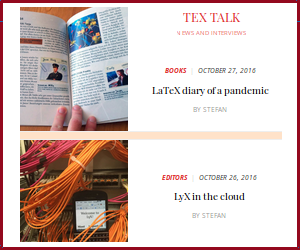 Browse other questions tagged pdftex miktex compiling babel french or ask your own question.